Mehvish Mushtaq: An Android Project Removing barriers in Kashmir too . An Android Project Removing barriers in Kashmir too . 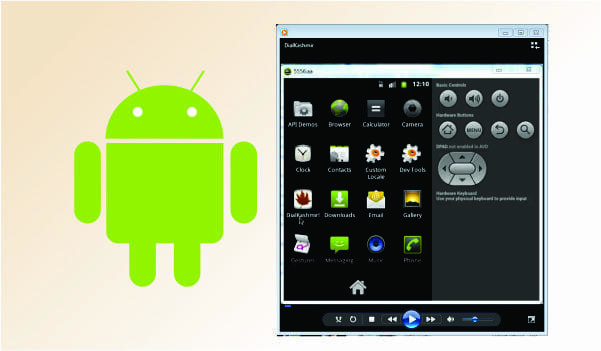 Many people wonder…why are Android apps so popular? Here, we are thrilled to introduce you to our student Mehvish Mushtaq from Kashmir who has done wonders by creating a unique and a handy Android App for her community as part of her Android Project. An ambitious Computer Engineer, a Kashmiri by origin and now an Android developer…all these characteristics describe our student Mehvish Mushtaq who took up Android course at Edureka and invented ‘DialKashmir ‘ for the well-being of her people as well as the tourists who visit Kashmir with great fervor! Captivated with creative activities like photography, exploring applications and surfing net, Mehvish came across Edureka’s Android Course from Facebook and opted for the same. As a part of the course, she undertook the Android project – ‘DialKashmir’! So Mehvish, what is DialKashmir all about? DialKashmir is an application that caters specifically to the Kashmir region, my native place. DialKashmir provides the users extensive information like addresses, phone numbers and email ids of various essential services in various sectors in Kashmir such as hospitals, education, transport, police and so on. And the best part of this app is that it is not only targeted at the local population but also the tourists who are abundant in Kashmir. It sounds great Mehvish! Could you please share the basic purpose of developing DialKashmir?Ya sure! My basic purpose of developing DialKashmir was to provide information easily to the net savvy Kashmiri people. Also, it will be of great help to the tourists who face an enormous language barrier in Kashmir and hence many difficulties while exploring the breathtaking Kashmir! My aim was to make a practically helpful Kashmir centric application, which is a pioneer effort all together. Awesome Mehvish! What future does DialKashmir hold for us?This, DialKashmir, has a vast market potential which can be easily tapped through online marketing strategies especially via social networking. And what about the layouts Mehvish?I used RelativeLayout, LinearLayout and TableLayout. Which activities did you implement in DialKashmir to make it workable? This is the first screen/activity that will be displayed when the user opens the app. This class has several image buttons that are used to show different categories such as Education, Gas agencies, Hospitals etc. When the user clicks on the button, he will be taken to the next activity (ListView). 2. ListView:This class will display a list of items according to the button that was clicked. For example, if a user clicks on Education button, this class will display the name of various education institutions (Kashmir University, Central University and so on). 3. Datahelper:Since my project uses SQLite database, this class contains code to create the database. It also helps in adding and retrieving the data from database. 4. Data:Once the user selects the required item from ListView activity, this class is used to display the phone number, web address/email-id and address of selected item. For example, if the user selects Kashmir University, then the phone number, web address and address of Kashmir University will be shown in this activity. 5. About:This class is used to show the details about DialKashmir app. Tell us something about your experience with Edureka?It was an experience of a lifetime! I sincerely thank Edureka Team for providing me an opportunity and a platform to develop an Android application, which had been my dream especially for the service of my community. Great going Edureka!